Häfele was established in Germany in 1923, offering hardware fittings and a quick and reliable delivery service. 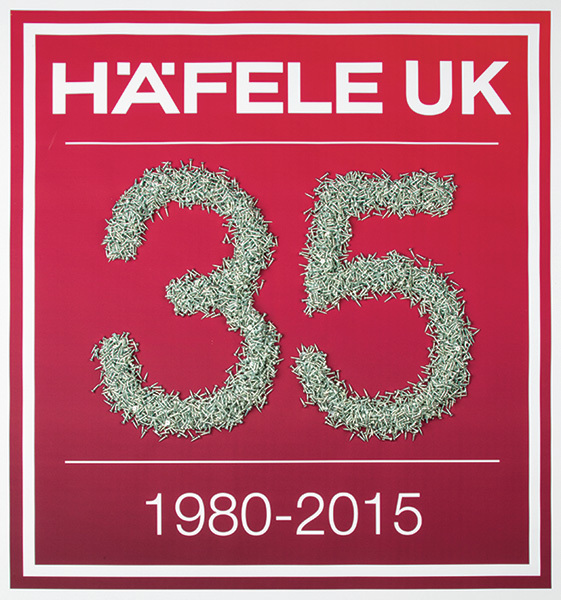 In 1980, Häfele opened its first distribution centre in the UK and this week we are celebrating our 35th birthday! 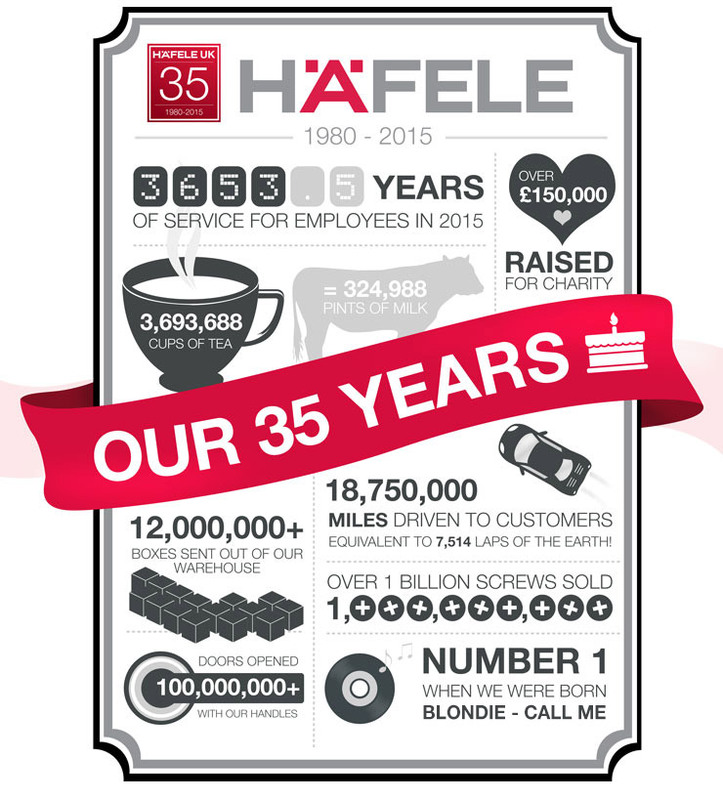 Check out our 35 years in numbers below and why not celebrate with us and enter our birthday competition over on Facebook or Twitter? Guess how many screws are in this picture for your chance to win the top prize of a Worx Power Tool Bundle which includes a Rotary Hammer Drill, a Jigsaw, and a Mini Grinder. Also up for grabs are 35 Häfele branded t-shirts for the runners up! Guess the amount of screws to win!